'First discovered in the Southern Coast of New Holland by Mr Robert Brown'. 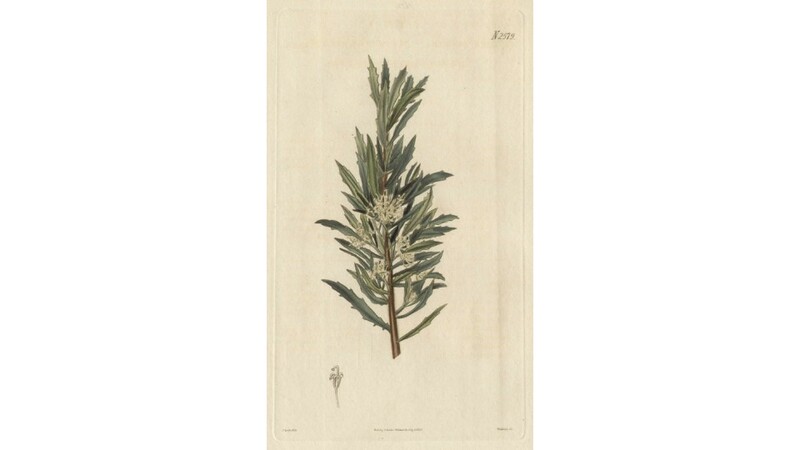 Australian native botanical engraving from Curtis's Botanical Magazine. 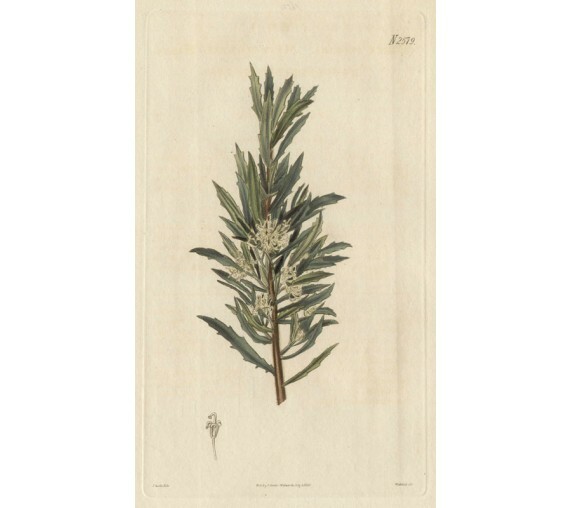 William Curtis (1746-1799) was a trained pharmacist, in London, who maintained a large garden and devoted himself to the study of its flora. 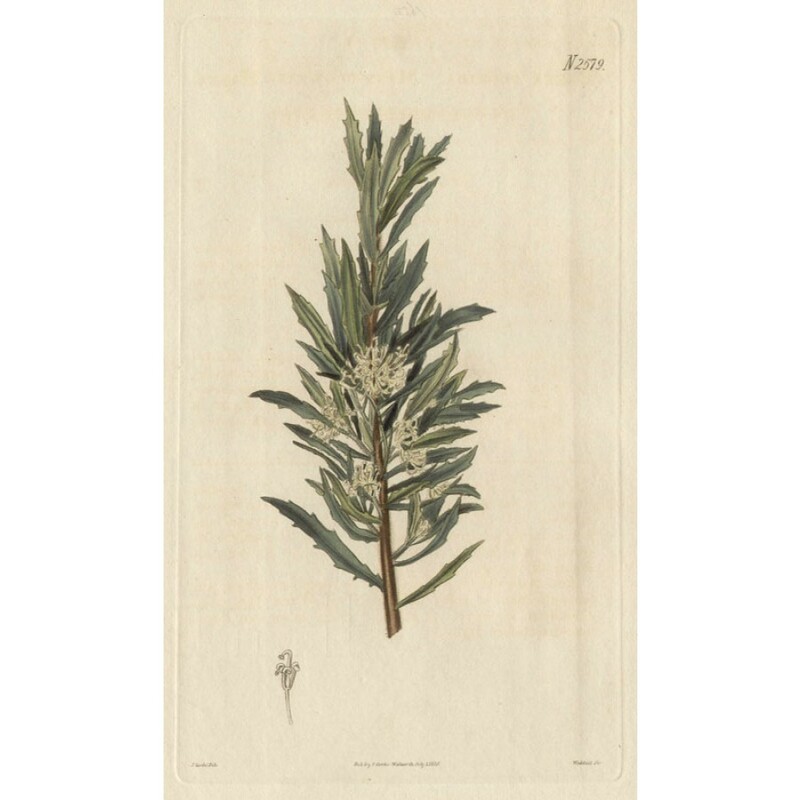 He began publishing the Curtis Botanical Magazine in 1787. Accompanied by original text describing features of the plant, when it was introduced and by whom, and whose collection it comes from.